I had never been to Greenpoint, Brooklyn before our visit to Old Poland Bakery & Restaurant in early 2005. It was an eye-opener in some ways to me. First, it’s not easy to get there from Manhattan via public transportation. The closest train is the G train which has no Manhattan stops. You need to take either the L to Lorimer Street in Williamsburg and switch to the G or take the 7 to Queens where you can connect to the G at 45 Road. Maybe because it’s so inaccessible that it has remained a strong Polish enclave. At least it was that way in 2005 when I visited and wrote what appears below. Rick deliberated long and hard before choosing the Old Poland Bakery & Restaurant in Greenpoint, Brooklyn. And the fact that whenever he called the place and asked—in English—about a reservation and to make sure they would be still open when we got there they hung up on him, was either a very good sign or we were in big trouble. 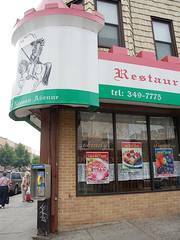 But when we arrived, saw the faces that populated the restaurant—yes we were still in New York—and noticed the prices of the food written in magic marker on cardboard, we quickly realized that we might just have hit the mother lode. That this brightly-lit combination bakery and Polish diner was exactly what we all yearned to discover. Of course there was a television and of course on the television was a Polish station with Polish cartoons and news of the Polish football league. Both were watched silently and intently by men with ample guts, close-cropped hair, ruddy faces and wearing colorful sweaters. Rick and I hoped for some help with the menu and some guidance on what we should order but our request was met with a blank stare and then a shrug by the pretty woman taking orders behind the counter. There was no table service here; you had to go up and pay when you ordered. We decided we should take shifts in ordering. 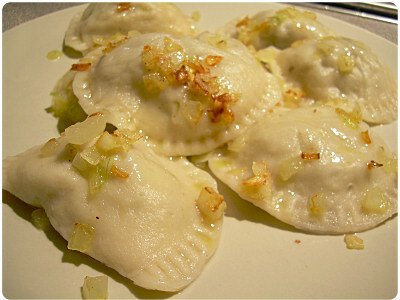 I had the first shift and choose a selection of pierogies; meat, potato, and sauerkraut, and cheese blintzes. Inexplicably, the same pretty woman this time had no difficulty understanding me. While waiting we sampled a variety of Polish beers that, beyond their colorful names and labels, were not worth remembering though they did add a balance to the density of the pierogies. This starter selection of starch was seriously testing our mettle. The next round—and really the last included something called a “Polish Plate.” With a name like that how could we pass it up? We also agreed on pork tenderloin, lima bean stew, and at Eugene’s unexplained insistence, that old Polish favorite, roast beef. The Polish plate consisted of a variety of Polish favorites like grilled kielbasa, potato pancake, more of those feathery pierogies, and an excellent meatloaf accompanied by pickled beets and red cabbage. The pork tenderloin was cooked perfectly and smothered in a thick, but not overly rich gravy. The surprise favorite of our selections was the lima bean stew, with chunks of smoked sausage and in a dense cabbage broth it was most definitely a hearty meal. The roast beef? Think college cafeteria. 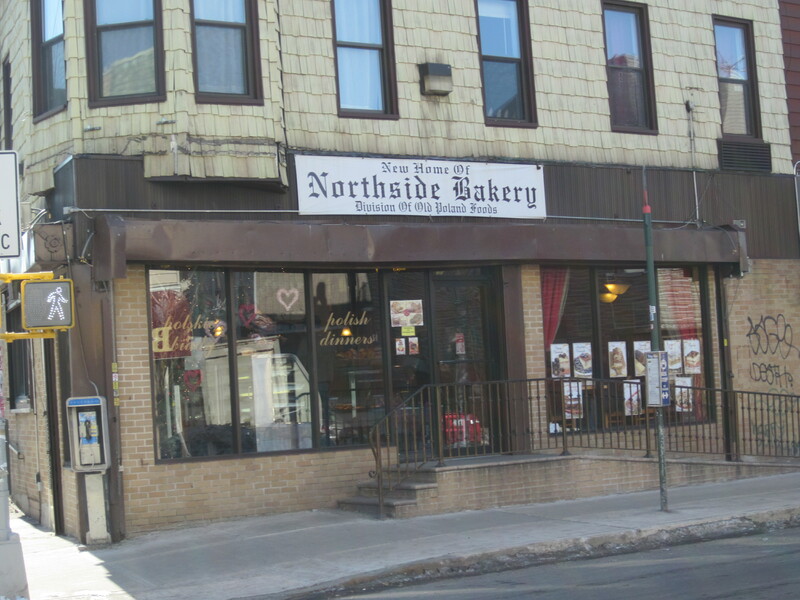 Zio, who in less than a week would become a nonno, braved the bakery section and ordered carrot cake and a chocolate-covered cream puff, that was rivaled only by the sauerkraut filled pierogi in its density-quotient. But food density had yet to thwart Zio. Though I wouldn’t put the cuisine of Eastern Europe high on my very long list of ethnic food favorites, a visit to Greenpoint where the Old Poland Bakery & Restaurant was located was worth it for the “we’re in another world” factor alone. Not to mention the ridiculously low tab of $11 per person including beers. You are an artist with words… “They were all watching the View”… Where are Bobby Vinton, Weird Al, and the Polka Players for your dining pleasure ? Question: What is a nonno (with reference to Zio) and Where is the connection with Poland and roast beef (with reference to Eugene)… As far as recognition from the “pretty woman behind the counter,” I would guess once she figured out she was serving celebrity “Chuck Norris,” the level of attentive service climbed exponentially ! And as far as “The View” is concerned, lets just say nothing and leave it at that… “Local television” has limited appeal outside the five boroughs, the island, and Westchester ! Stay well and keep those posts coming !